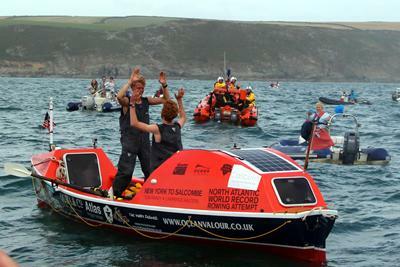 University of Southampton alumnus Lawrence Walters (Ship Science, 2014), along with his friend Tom Rainey (both 23), has completed a 93 day row across the Atlantic Ocean from New York and arriving in Salcombe, Devon yesterday afternoon (4 August). Lawrence, originally from Lymington but now living and working in Bristol, stepped to the challenge after Tom’s teammate injured his back in a training session. Their epic, non-stop and unsupported journey, which started on 3 May, saw them survive a deadly hurricane, monster waves, hallucinations and a brutal capsize. Despite originally attempting to break the existing 55 day speed record for the route, the experienced oarsmen saw that chance evaporate within the first month. The crew became stuck in a monstrous loop of current caused by the interaction between the Gulf Stream and a series of seamounts 300 miles south of Halifax, Nova Scotia. After being pushed around in a loop hundreds of miles across for 10 days, the pair were eventually able to break free by rowing back the way they had come to break out of the monster eddy. Their chances of breaking the record in tatters. However, less than a week later the team were helped out by the Gulf Stream and favourable wind conditions, which helped them achieve a new World Record for the greatest distance covered in 24 hours by an ocean rowing boat; an astounding 112.5 nautical miles (129 miles). 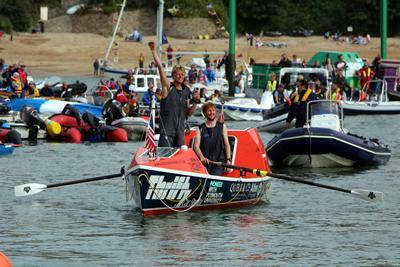 The second world record was achieved as the two oarsmen finished their challenge as they become the youngest team to ever complete the route. The twosome took it in turns to row, each spending two hours on the oars before resting in the cabin for two hours whilst his team mate took over. They carried everything they needed on their boat, making drinking water by using an electrical desalination device powered (like everything else) by solar panels. As the midsummer approached the duo’s progress was of sufficient concern for them to start rationing their food supply. They saved up an occasional meal and held onto one or two chocolate bars from their 6,000kCal daily food supply. This meant that they were gradually getting fewer and fewer calories every day and after their last chocolate bar was eaten two weeks ago they have only had spicy vegetable noodles to eat. 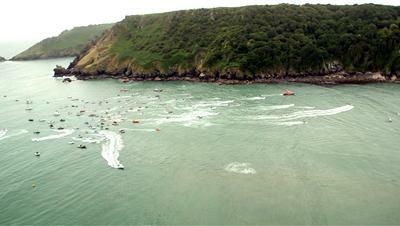 Both rowers have lost a significant amount of weight during the challenge.